It’s out wedding anniversary today, so we wanted a bit of a different meal, but it had to be quick as it’s a school night! Checking previous quick and tasty meals we’ve done we’ve settled on yakitori chicken. Nothing too complicated: which is the whole point given it’s a midweek meal. 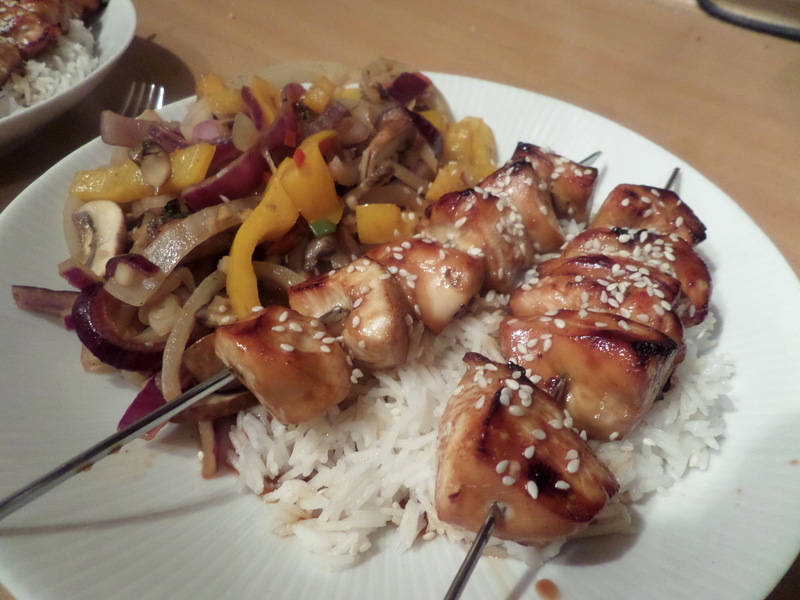 Just chicken skewers, stirfry veg and rice. However unlike the last time we did this we’ll be making our own yakitori sauce, based on this recipe from Wagamama. Mmm… the homemade yakitori sauce is delicious. 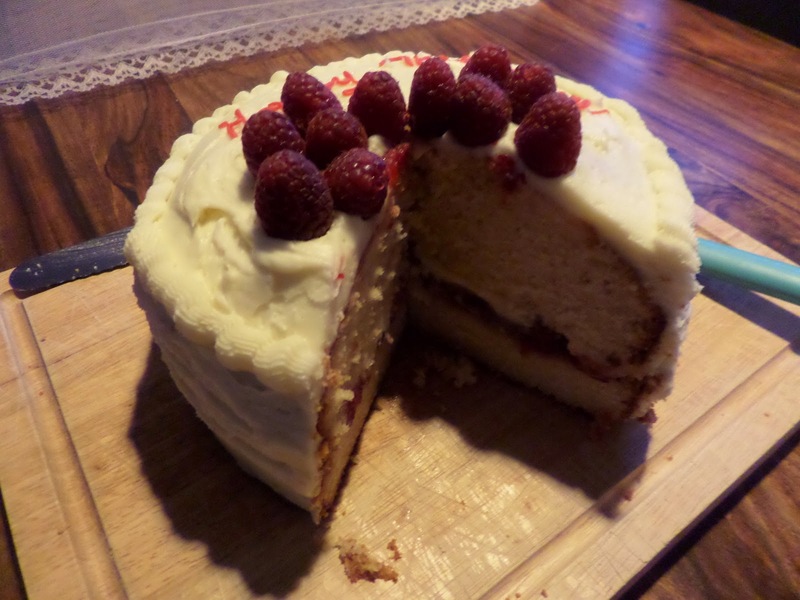 Plus Soph made a cake! Looks a very tasty celebratory meal. Huge height to Sophie’s cake too.